The Oxford Lab Products BenchMate Orbital Shakers feature innovative programming to switch between clockwise and counterclockwise motions to mix the most turbid samples. The Oxford Lab Products BenchMate Orbital Shakers enable the shaking (orbital and linear motion) of liquids and semi-liquids up to a maximum total weight of 7.5 Kg. 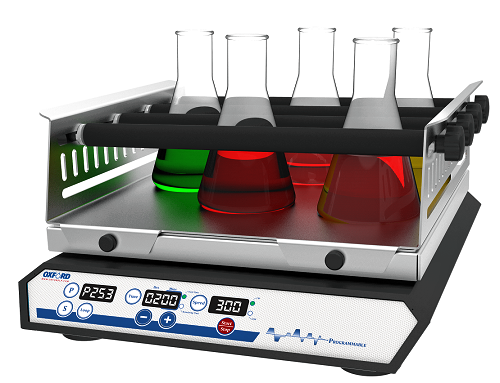 The Oxford Lab Products BenchMate Orbital Shakers supports various attachments for mixing liquids in bottles, flask, test tubes and bowls to meet a variety of user needs. 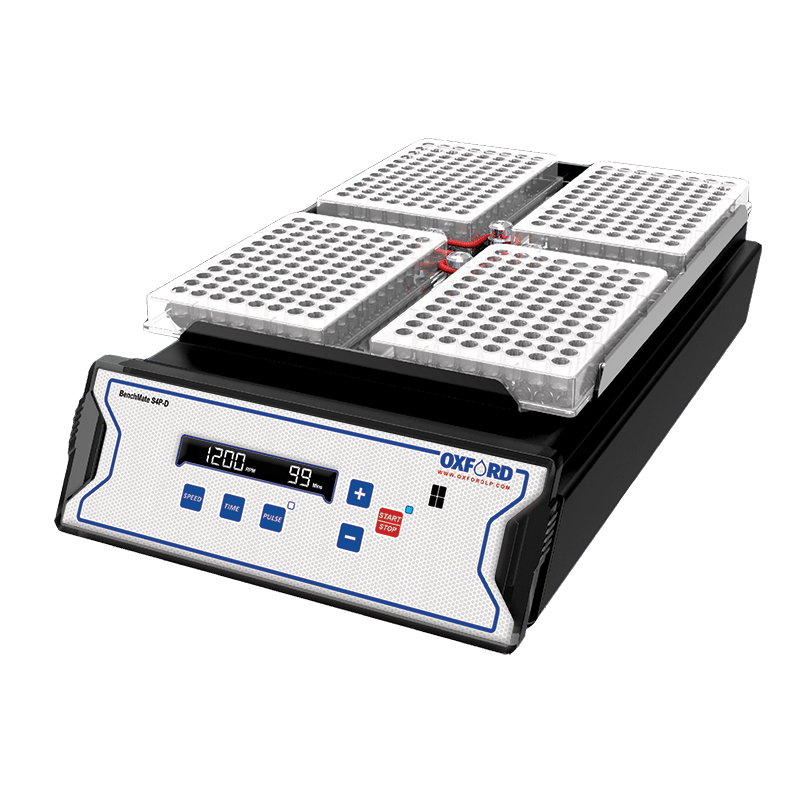 The Oxford Lab Products BenchMate Orbital Shakers are supplied with a non-slip mat and optional flask platforms attachment. The Oxford Lab Products BenchMate Orbital Shakers come with a program and sub-program feature allowing for a variety of personalized mixing preferences and purpose-designed pre-programed parameters to be saved.